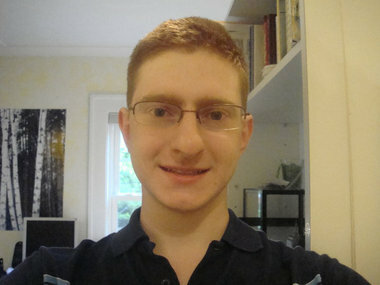 I suspect most people have at least heard about Tyler Clementi (pictured) by now. He is the Rutgers student -- a freshman -- who killed himself on Sept. 22, a few days after his roommate and another student had used a web cam to secretly transmit sexual images of Clementi and another man. According to ABC News, "Two students, Dharun Ravi and Molly Wei, have been charged with two counts each of invasion of privacy after allegedly placing a camera in Clementi's room and livestreaming the recording online on Sept. 19, according to a written statement by New Jersey's Middlesex County Prosecutor Bruce Kaplan." You can read more about the news story of Clementi's death at that link, as well as here. Some general background to keep in mind: Almost 85 percent of LGBTQ teenagers are harassed in high school because of their sexual orientation, with 61 percent of gay youth reporting that they felt unsafe in school and 30 percent staying home to avoid bullying, according to a 2009 survey by the Gay Lesbian Straight Education Network. What I wanted to do with this post is include a roundup of some of the recent stories and articles about Clementi, about bullying, about suicide among the LGBTQ population, and everything else related to this. By no means is this going to be comprehensive, so please contribute links in the comments to anything you've found compelling on this subject, or to resources that can help. AlterNet: "Vigil for society's Casualties." This article, about a vigil held Oct. 3, lists details about the six gay teens and young men who have recently killed themselves. (I would guess these are not the only recent suicides, but these are known). They are Seth Walsh, Tyler Clementi, Billy Lucas, Asher Brown, Justin Aaberg, and Raymond Chase. Associated Press: "NJ school holds vigil for student who killed self." News story about Rutgers' vigil held on Oct. 3. On Top magazine: "Gay Teens Bullied To Death: Asher Brown, Seth Walsh Remembered." Both of them were 13 years old. FWD/Forward: "How Do You Fight a Suicide Epidemic?" Good, informative piece that includes numbers to hotlines, as well as gems like this: "These young people were all failed by the people with a responsibility to protect them." "If you are a teenager, I don't envy you your pain, but I do see the amazing opportunity you have to change the environment around you. Your parents aren't perfect, no one is, and if they didn't teach you to be kind then teach yourself. Take responsibility for your own words, thoughts and actions and make this world a better place than what has been left to you. Please. We have to start somewhere..."
Christian Science Monitor: "Rutgers student death: Has Digital Age made students callous?" I have to agree with this: "'We are tempted to think that social-media technology drove the behavior, but as a truly ethical matter, the behavior has to be and should be considered human-driven, not technology-driven,' says Scott Foulkrod, a philosophy professor at Harrisburg University of Science and Technology in Pennsylvania." CBS News: "Preventing the Youngest Suicides." This is such an important point: "'We have to get used to the idea that it's okay to raise our hand and say "I'm struggling,"' said Dr. David Skorton. Skorton, a physician for 36 years as well as a university president, feels the most important way to prevent suicides is to take away the stigma of seeking mental health care." Time magazine: "Cyberbullying? Homophobia? 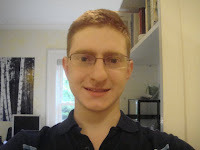 Tyler Clementi's Death Highlights Online Lawlessness." I want to address something the article says: "Even bullying experts are undecided, with many calling the humiliation that 18-year-old Tyler Clementi endured outright sexual harassment and others going back and forth on whether Clementi's roommate, Dharun Ravi, and Ravi's friend, Molly Wei, had malicious intentions." Regardless of the intentions, what happened to Clementi is most assuredly sexual harassment (at the least). Intentions are irrelevant here. They may have "intended" for their actions to be a "joke" or a "prank," but that does not exclude what they did from being properly labeled sexual harassment. Also on Time magazine: "'It Gets Better': Wisdom From Grown-Up Gays and Lesbians to Bullied Kids." You may have heard about Dan Savage's YouTube project. If not, this discusses it, and other things. I will say that I love the idea of this project, even though I know there are some inherent flaws in it (Below the Belt has a good critique of the project). But some of these videos are fantastic, and I hope they can provide even a little help to anyone who needs it. Tyler's roommate did not act alone. There are accomplices out there: uncaring teachers, criminally negligent school administrators, classmates who bullied and harassed Tyler, "Christian" churches and hate groups that warp some young minds and torment others, politicians on the right and left who exploit and perpetuate anti-gay prejudice, perhaps even Tyler's own family. We need to learn more. And more charges need to be brought. Not just criminal charges against a couple of stupid teenagers who should've known better but didn't. But ethical charges need to leveled against adults and institutions that knew better but didn't care. Ravi and Wei did not act alone. We have to recognize that there were others involved in destroying Tyler Clementi. And we need to start calling the effort to pin all the blame on Ravi and Wei exactly what it is: a coverup. Trans/plant/portation: "Some things just aren't funny." This is a great piece, about suicide and bullying. One line: "All it takes to hurl over a precipice are some indifferent or absent adults, mean-spirited kids, and bad to no communication." CNN: "Why did Tyler Clementi die?" by Pam Spaulding, of Pam's House Blend. She writes: "In the coverage of this incident, I have seen discussion about the legal angles of prosecution, the psychological impact of the alleged heinous violation of privacy, but not enough about the festering social ill that brought us here. Who creates the bully? Who is accountable?" YES to this. We all need to be talking and thinking about this. Change.org: "Ellen DeGeneres Speaks Out About Teen Suicides." Her video is very moving. You can see it at the link if you haven't yet. Think Progress: "As More Bullying Victims Commit Suicide, Right-Wing Groups Decry Anti-Bullying Policies As 'Gay Agenda' Ploy." I can't even stand this crap. There's always a "gay agenda," but never a "straight agenda." Right, GOP and right-wingers? "Needless to say, public attention has been intense. The outpouring of emotion and support from our friends, community and family — and from people across the country — has been humbling and deeply moving. Regardless of legal outcomes, our hope is that our family's personal tragedy will serve as a call for compassion, empathy and human dignity." When my grandchild was 18 he was able to share his alternate sexuality with his family and was supported! he lest that fall for Rutgers in New Brunswick, focused and excellent student and a dream to be a teacher,within the first year he became a struggling unkempt, withdrawn person who final collasped and withdrew in his junior year. WHY? Sexual bullying seen by staff nothing was done he did not want to cause trouble for family. Now he is doing well with help. Thanks for your comment. I'm glad your grandchild is doing better.